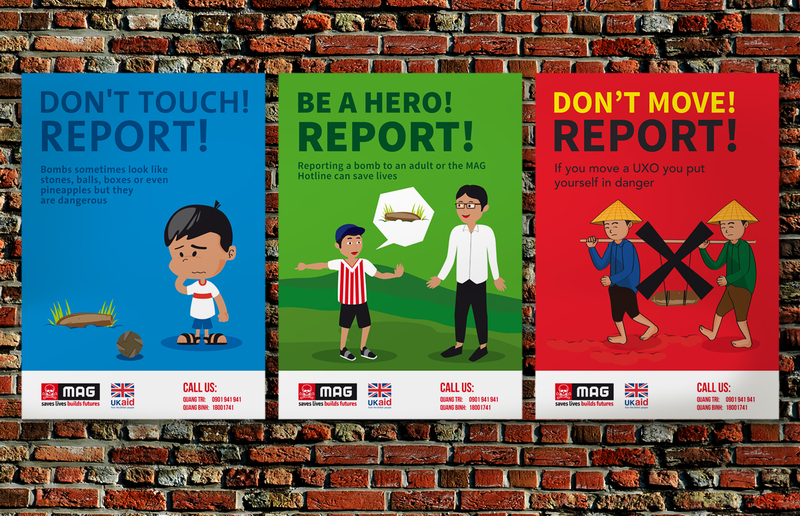 We recently completed a project with MAG, developing risk education materials for kids, teens and farmers to use in rural communities where UXOs still pose a risk to life. The use of illustrations help to tell a clear story and engage the audience, as well as creating a recognisable campaign. We’re really happy with the results and hope it will make a difference to MAG’s work in Vietnam. Please take a moment to look at the our Mines Advisory Group (MAG) case study.